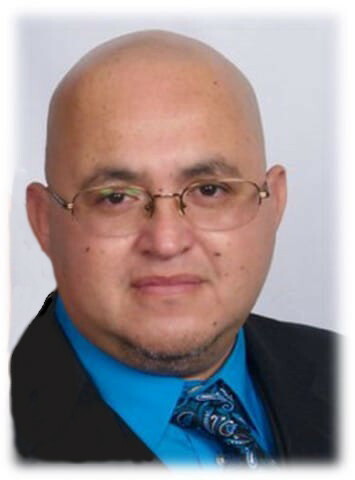 La Villa – Juan (Johnny) Garza, Jr., 49, passed away Tuesday, November 27, 2018 at Knapp Medical Center in Weslaco. He was born November 21, 1969 to Juan and Ofilia T. Garza in Edinburg, TX. Juan was raised in La Villa and graduated from Edcouch-Elsa High School in 1988. He worked for the U.S. Postal Service for 20 years and coached softball, basketball, and TYFA football for the local youth at La Villa Youth Center. Johnny enjoyed helping people, and he is currently saving many lives by being a donor. Juan is survived by his wife, Linda Lee Escamilla-Garza; sons, John Trey Garza and Joshua Escamilla-Reyna; daughters, Britney Amanda Garza and Brisa Renae Garza; granddaughter, Jolissa Skye Escamilla-Reyna; and mother, Ofilia Telles Garza. He is preceded in death by his father, Juan Garza; sisters, Bertha Garza and Beatriz Garza. Viewing will be held Saturday, December 1, 2018 from 1:00 p.m. to 9:00 p.m. and Sunday, December 2, 2018 from 1:00 p.m. to 9:00 p.m. with a Holy Rosary both days at 7:00 p.m. at Cardoza Funeral Home Chapel in Edcouch. Viewing will continue Monday, December 3, 2018 from 8:30 a.m. to 9:30 a.m. at Cardoza Funeral Home Chapel. Funeral Mass will follow at 10:00 a.m. at St. Theresa of the Infant Jesus Catholic Church in Edcouch. Interment will be at Anahuac Community Cemetery in Edcouch.